Build Robots for automation (Robotic Process Automation) Automate & Collaborate. Trust Verinon for your Robotic Process Automation needs. Verinon Solutions has executed 75+ EMC Documentum and SharePoint implementations making us the leading provider. Verinon Solutions’s ShareTop integration framework provides organizations a flexible, cost effective approach for maximizing these "best of breed" Content Management and Collaboration applications. Model, analyze and deploy your process improvements quickly and seamlessly using OpenText Process Platform (Cordys). End to End BPM Solutions. Verinon Solutions’ Easy2Share migration methodology and tools have delivered predictable and repeatable success. Verinon is currently providing managed services for multiple industries including Manufacturing, Banking, Insurance, Regulatory, Aerospace, Oil & Natural Gas, Life Sciences. Verinon is providing dedicated application support for OpenText, Documentum, Captiva, SharePoint, Kofax, Alfresco, Liferay, Drupal, Splunk, Atlassian Products (Jira, Confluence, Hipchat, Bitbucket) ServiceNow, Zenoss, Nagios, SolarWinds, OpenNMS, SAP, Peoplesoft, Infor and other custom built applications. Verinon can help you unleash the power of Zenoss Unified Monitoring. Operational Intelligence at light speed. Capture Content Access. Global Support. Experience revolution in Advanced & Mobile capture, Agility, Transformation, Analytics and total EIM platform for customer centric business using Kofax suite. We have been recognized as one of the fastest growing companies with a recognition that included inclusion into the 2007 group that qualified for the INC 500. Our approach is unique where we recruit both locally and globally for the best resources. Our specialists have origins from each of the habited continents. We embrace and practice diversity not for compliance but out of mere necessity of business. Founded in 2002 and headquartered in Illinois, we have offices and technology centers throughout the United States, Asia Pacific and EMEA. 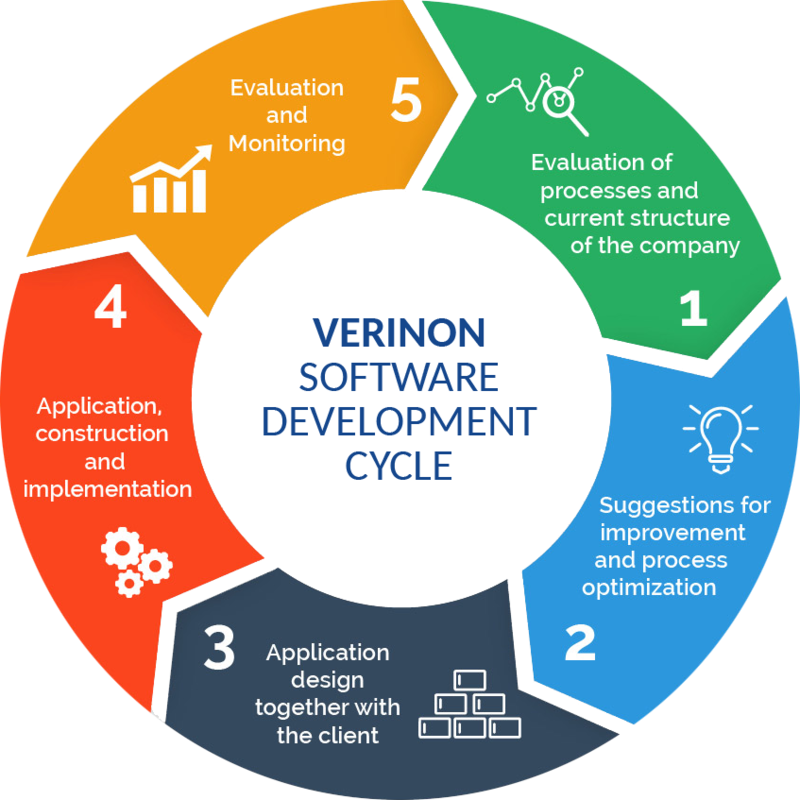 Verinon Solutions is one of the best software development companies in india. The leading software outsourcing and offshore company IT Services to meet all your business needs. Verinon provides full range of SharePoint consulting services focused customer's unique business needs. Are you looking to migrate to Office 365 from a traditional on-premises collaborative platform or move away or upgrade? Our services organization has the ability to consult Microsoft SharePoint end customers in best practices as well as tailor software solutions. Verinon is OpenText Partner. Verinon has extensive experience in implementing Cordys suite for its global customers. We can help customers not only with licensing, also with implementation, customization, integration, support and maintenance with the expertise we have gained over last decade. Robotic Process Automation (RPA) or building robots for any regular repetitive manual processes are everywhere now. Transform your IT value creation chain by leveraging the entire universe of the DevOps methodology to maximize the benefits of agile delivery. We deliver solutions and services that accelerates the benefits and usage of the Atlassian products. The Easy2Share SharePoint migration tool set simplifies the process of content migration to MOSS 2007, SharePoint 2010 and Sharepoint 2013. Easy2Migrate methods and tool allows the migration of content from an existing WCM solution into AEM 5 and 6.